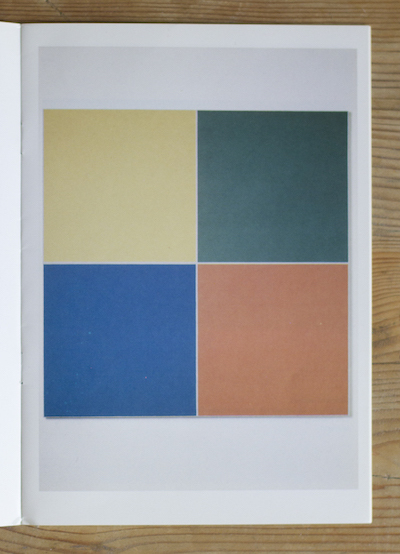 As a student, Richard Bell was inspired by the exacting combination of surface quality, colour and spatial organisation. This led, in particular, to an interest in the Swiss 'art-concrete' artists, the French Supports/Surfaces group, the more minimal work of American abstraction, and the influence of the British artists who were then working within the 'Systems’ group. 1977 – Southern Arts Council bursary to complete the construction of a series of wood reliefs, which explored the dimension of changing forms over a sequential system. 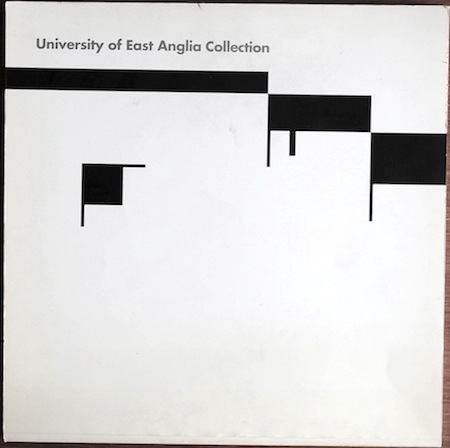 1978 – began to enquire into the complexity of colour relations generated by a defined set of rules and questions of a more formal visual language - often through 'tracing' and 'mapping' colour forms across a series or set of paintings. 1981 – participated in 'the House Construction Show' at the House Gallery, in London, which grouped together a number of artists, who were beginning to look at a more collaborative approach to the philosophical and theoretical thinking. The art critic, Stephen Bann commented on how Bell’s paintings ‘succeed in marrying conceptual rigour with a high degree of aesthetic 'rightness' (ref Art Monthly No. 47). 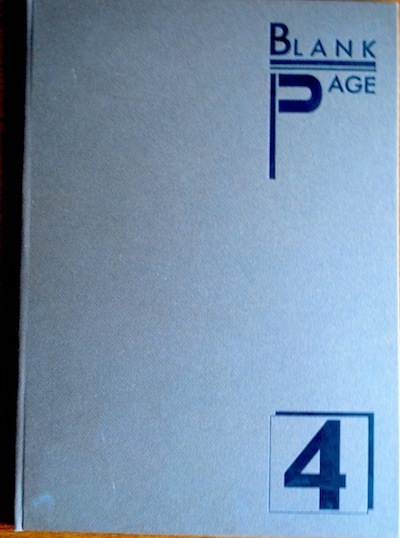 Between 1981 -1986 the artist collaborated in the ‘Group Proceedings’ forum, and he took part in a number of ‘Exhibiting Space’ events. 1980-1990 was a period of intensive 'visual-plastic' enquiry into a new colour-language and the surface-material qualities (facture) in painting. 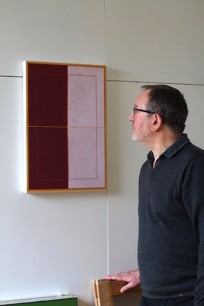 In 1986 he co-initiated (with Nicole Charlett) 'Colour Presentations' supported by the Welsh Arts Council. 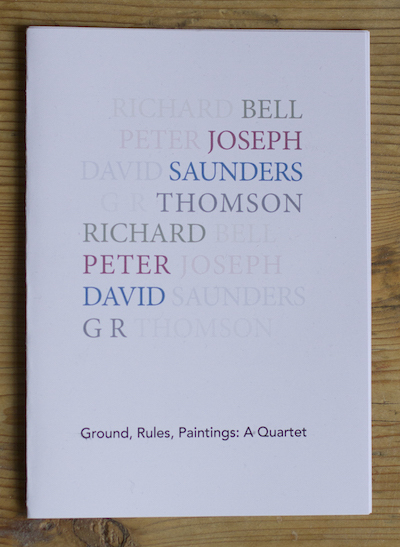 The exhibition brought together the work of Jeffrey Steele, David Saunders, Jean Spencer (who collaborated in the Systems group) and Trevor Clarke – to stimulate a dialogue into the complexity of colour relationships, language, interpretation and questions of indeterminacy. The exhibition of six artists toured in England and Wales. A transcript of the public seminar held at the Gardner Centre Gallery, University of Sussex, was published in the Art Monthly (No. 99). The composers, Michael Parsons and Howard Skempton (who have a long association with constructive and systematic art), accompanied the exhibition with performances of experimental music at each of the opening events to develop the discourse about both the complementarity and difference between 'systematic music' and relational colour painting. 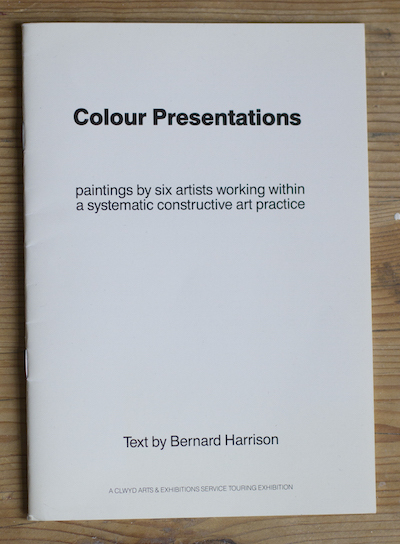 The philosopher Bernard Harrison who had originated the term 'Colour Presentations' published an essay in the exhibition catalogue. 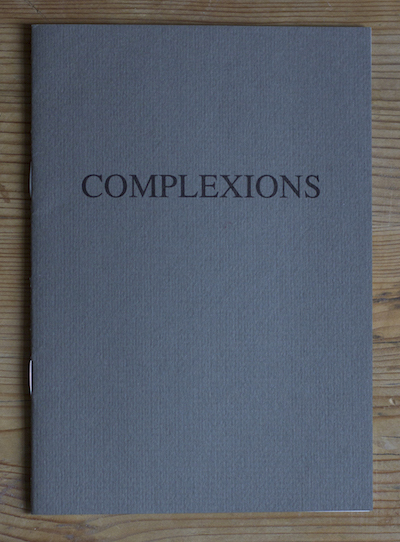 In 1989 Bell, Charlett and Saunders went on to collaborate on a further project called 'Complexions', supported by the British Council. 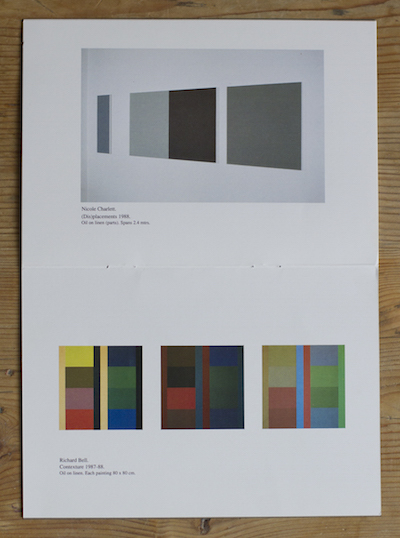 From 1990 onwards, the artist developed a more painterly approach to colour organisation, which often involves layering and tracing of colour within a less formal pictorial space, and the introduction of the 'poetics' of chance in the revelation of under-painted areas. 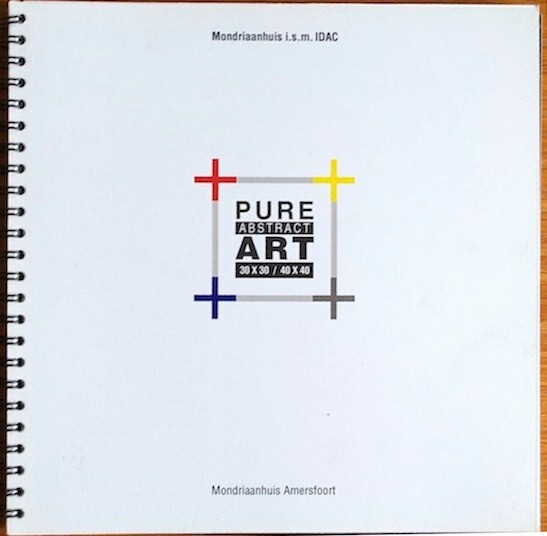 In 1998, the artist was represented in the exhibition 'British Collection of Concrete and Constructivist Art' in Erfurt, Germany. The art critic and historian Eugen Gromringer commented that 'for Richard Bell colour represents a dominant medium. An overview of his pictorial world impresses one by the consistence with which he stays close to the theme of the meeting of colour fields. On the other hand, he sensitizes this meeting even further in the earlier work through the overlapping or the superimposing of colour fields whereby the formal grid is constituted out of the geometrical fields, which brings into play the colours on the canvases'. (ref: Speech for the exhibition published 9 July 1998). 1992 –2015 the artist worked full time within education public policy, and his art practice restricted to a slow pace. On leaving full time employment in 2015 he completed a new project of work, which was exhibited at The Mercus Barn , in Ariège Pyrenées (France) in June 2016 as part of the ‘Eye and Mind’ theme. This enquiry further develops his interest in the interruption of colour-space through the process of revealing the performance of painting as an event in time. In September 2016 – 'Saturation Point' invited Bell to curate an exhibition project, which culminated in 'Transforming Surfaces' , held at Arthouse1, London, during June 2018. This exhibition presented exchanges between the two artist-founded and run projects; The Mercus Barn and Saturation Point. The artist, David Saunders, founded the former, set in the Ariège Pyrenées near the city of Foix in southern France. 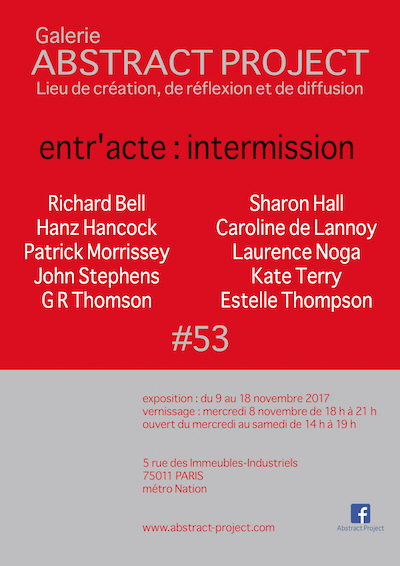 Transforming Surfaces was preceded by two related and separately curated exhibitions held during 2017-2018: 'Ground, Rules, Paintings: A Quartet', La Galerie Lycée Gabriel Fauré, Foix, Ariège Pyrenées (curated by David Saunders,), and 'entr'acte : intermission', AbstractProject Galerie, Paris (A Saturation Point Project). The National Art Library (special collections). The Sainsbury Centre for the Visual Arts, University of East Anglia. Forum Konkrete Kunst, Erfurt, Germany.